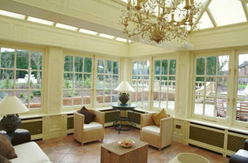 These conservatory panels are an example of how you can finish your conservatory to the same very high standard and quality that you have built it to. Below are some examples of the types of panels that you can have. But as with everything here at Dream, call us to talk through your options. We’re here to help you. Call 01635 551 687.